The President's record third appearance as chief executive on "The Tonight Show," marks a big night for him – and Jay Leno. 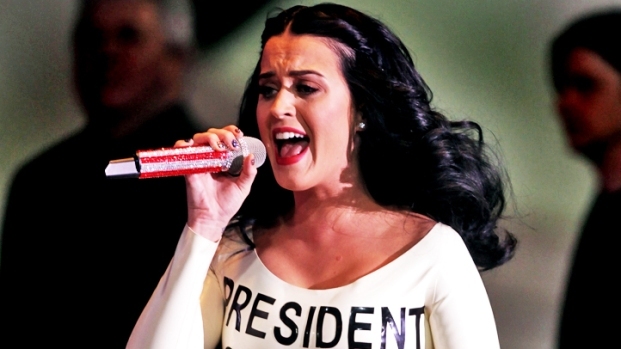 Three and a half years ago, as Barack Obama ended his first presidential visit to "The Tonight Show" – the first by any sitting chief executive on a late night comedy talk show – Jay Leno found himself in the rare position of betraying a tad of awe. 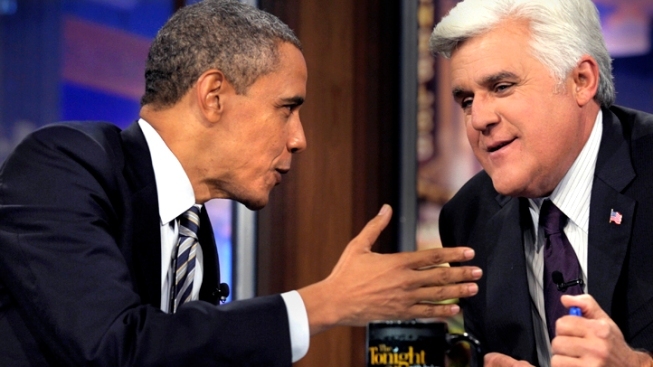 "Mr. President, I must say, this has been one of the best nights of my life," Leno told Obama. "Thank you very much, sir." At the time, Obama was two months into his presidency and Leno was two months away from leaving "The Tonight Show." On Wednesday, Obama is set for his record third, and possibly final, appearance as president on the seat next to Leno, who made an unlikely return to late night and is running ahead of the pack – at least in presidential interviews. It stands to be a big night for both men. As we've noted, one area in which Obama has distinguished himself from GOP challenger Mitt Romney is in playing the late night TV comedy circuit during campaign's homestretch. Obama went on "Late Show With David Letterman" last month and "The Daily Show With Jon Stewart" last week, each time marking his second presidential visit to the programs. Obama, who seems to have made more entertainment show appearances than any sitting president, clearly enjoys an amiable relationship with Leno, stemming from his first invite onto “The Tonight Show” in 2006. While the days of mass-audience late night talk show dominance ended with Johnny Carson, Obama likely sees some appeal in presenting a relaxed, humorous side of himself to Leno's perceived middle-of-the-road fan base. The President also knows that while political humor is a key component of Leno's comedy arsenal ("The only people who thought Obama won? The [NFL] replacement refs," he quipped after the first presidential debate), his one-liner-driven style is generally less biting than some of his competitors. The tenor of the interview is likely to have more of a two-guys-talking feel ("So how are the girls doing, Malia and Sasha?" Leno asked during Obama's last visit about a year ago) than the two-wonks-talking chat the President had with Stewart last week. Which is not to say we expect anything less than an entertaining and potentially enlightening, on at least a personal level, interview from Leno, who is good at putting guests at ease. 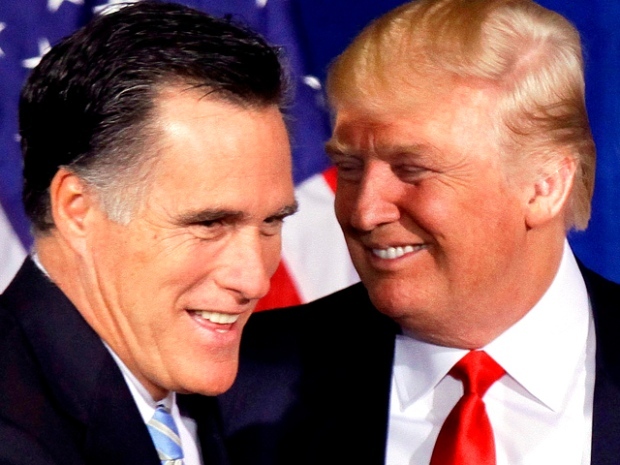 Romney has avoided late night comedy shows since officially notching the Republican nomination in August, though he delivered a "Top Ten" list on Letterman's program last year, and guested twice with Leno, most recently six months ago. The candidate mentioned the TV stints during his controversial, secretly taped "47 Percent" speech, saying Letterman "hates" him because he went on Leno's show more times. Romney also said he turned down an invitation from "Saturday Night Live," believing the program might make him look "slapstick" and "not presidential."